These people are so friendly and helpful, I loved it there! Wir waren super zufrieden! 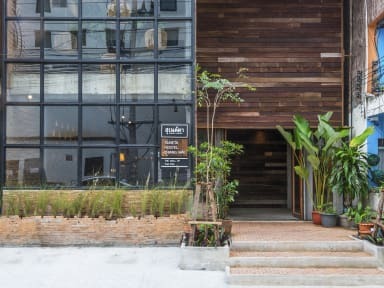 Das Hostel sieht nicht nur schön aus, sondern ist auch sehr sauber, die Mitarbeiter sind alle freundlich und das Frühstück ist toll. 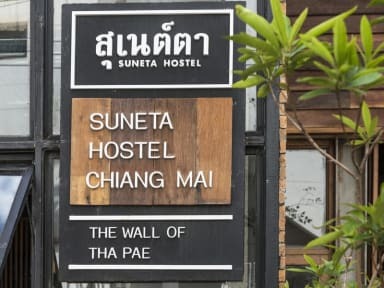 I have never seen a hostel in thailand with such a nice and lovely team, an amazing service and a perfect location like the suneta hostel. The team helps you anytime with everything to solve all your problems. They are just amazing. The beds didn't have curtains and the door to the dorm couldn't be closed completely. Friendly staff! Small breakfast but everything you need! Lockers in the bedbunk is great!